I am a professional licensed teacher. I worked on a regular school for 5 years. 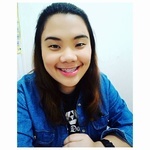 I am currently working as an Online English Teacher for Chinese students and is working freelance...Read moreI am a professional licensed teacher. I worked on a regular school for 5 years. I am currently working as an Online English Teacher for Chinese students and is working freelance as a private tutor. Taking photos for weddings, birthdays and other celebrations is another part of my freelancing job. I have a lot of time in my hand and I am still looking for a part time or freelance job.